A broker-dealer or investment adviser shall provide access to or copies of records that are relevant to the suspected or attempted financial exploitation of an eligible adult to agencies charged with administering state adult protective services laws and to law enforcement, either as part of a referral to the agency or to law enforcement, or upon request of the agency or law enforcement pursuant to an investigation. The records may include historical records as well as records relating to the most recent transaction or transactions that may comprise financial exploitation of an eligible adult. All records made available to agencies under this section shall not be considered a public record as defined in [State public records law]. Nothing in this provision shall limit or otherwise impede the authority of the state securities commissioner to access or examine the books and records of broker-dealers and investment advisers as otherwise provided by law. 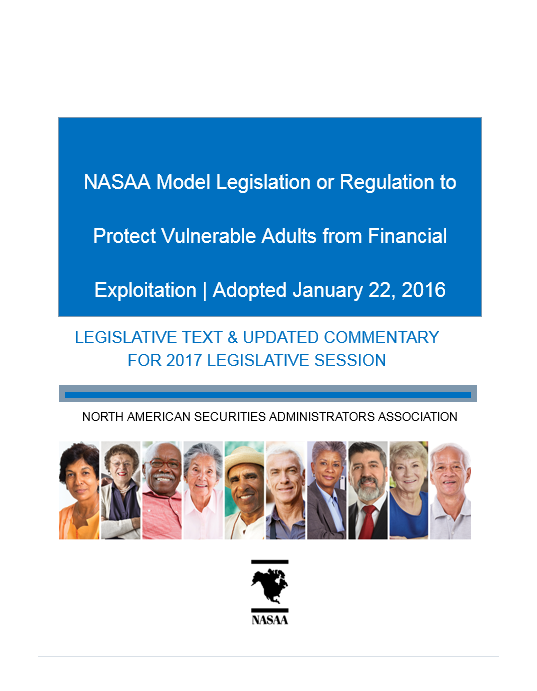 [i] It is NASAA’s understanding that APS agencies often have difficulty obtaining records from financial firms in a timely fashion. Mandating record sharing will help forestall this potential problem. Given the often urgent nature of these matters, it is important to make clear in the Model that broker-dealers and investment advisers must comply with requests for information from APS agencies or law enforcement.